Yes we know, gutter cleaning is not rocket science. That being said, there are right and wrong ways to do every job. And amazingly, we get dozens of new customers every year who say we did a better than the previous people that did the work.That makes us feel good. It also goes to show that the little areas where we try harder do indeed make a difference! 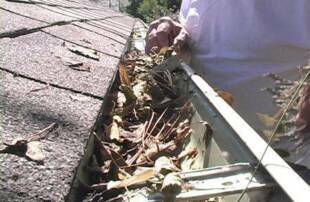 Additionally, clean gutters are a critical part of your home’s design. 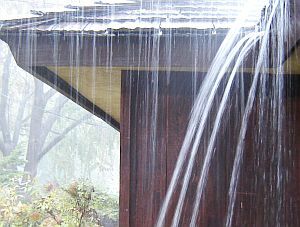 Clogged and overflowing gutters can cause roof leaks, siding rot, foundation seepage, water damage and basement flooding, erosion and increase likelihood the pest infestations. •You’ve cleaned enough gutters in your life already! •You have never cleaned your own gutters and are not that crazy about ladders and roofs. •Whoever did the job in the past was sloppy or did a poor job. •Whoever did the job previously was not easy to work with. •Whoever previously did the work now has a disconnected phone number. •You’ve never had the job done before and want to hire the right company the first time so you don’t need to go through finding someone again in the future.